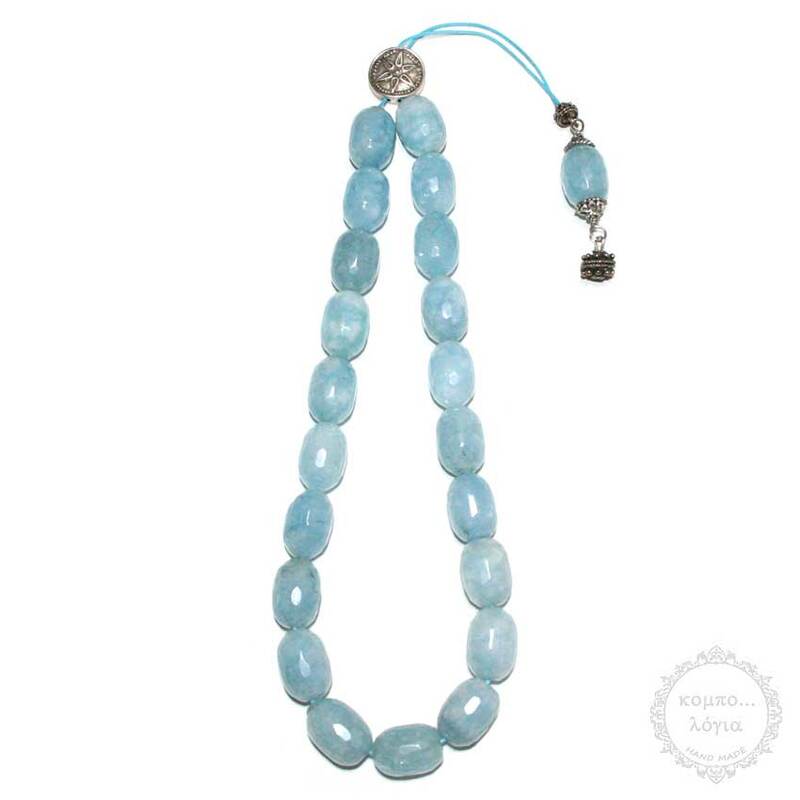 Aquamarine handmade komboloi created with 21+1 natural Gemstone Aquamarine beads of 13x19mm diameter with original tibetan silver metals, 33cm total length and 117g total weight. It comes with a vintage gift pouch. High Quality AAA+ of rare old Antique beads. IGS (International Gem Society) Aquamarine is a member of the beryl family. This stone is known for its blue to blue-green color. The name comes from the Latin for “sea water,” and aquamarine folklore is usually tied to sailors and the sea. Aquamarine is the birthstone for March and it’s a popular gem that wears well, is readily available, and moderately priced. Since aquamarines are available in large sizes, there is no incremental increase in value per carat for large gems. A 50-carat aquamarine will be worth the same price per carat as a single carat gem of equal quality. The gem price is dependent on clarity, depth of color, and to a lesser extent the purity of color.